The year’s spookiest day is right around the corner and even if you’re not into dressing up for Halloween, black is certainly the universally preferred color for the occasion. So in honor of the event, we’ve picked out some of our favorite black Rolex watches that you can sport during Halloween and well beyond. 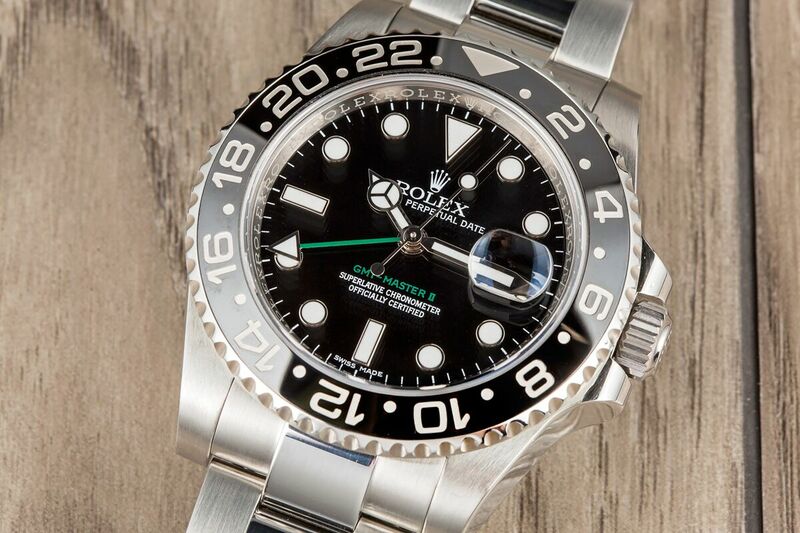 While Rolex’s ubiquitous dive watch is available in a range of materials and dial and bezel colors, it doesn’t get more classic than the stainless steel and black dial and bezel configuration. 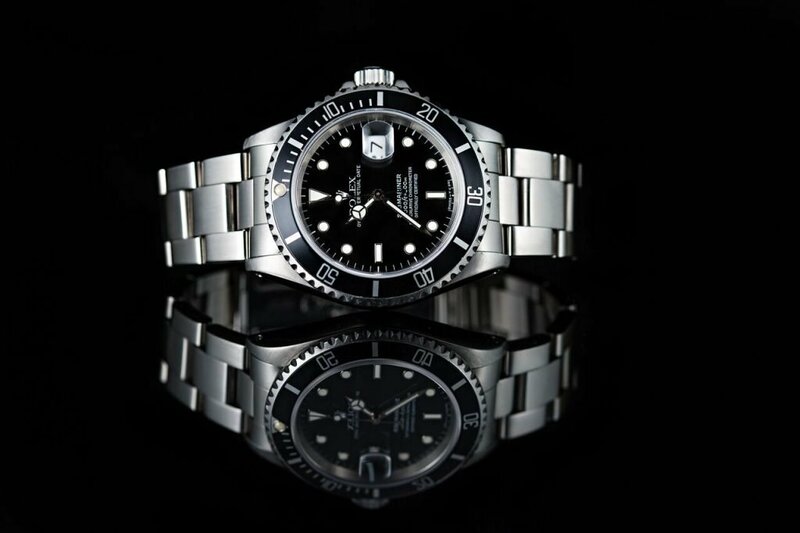 The most iconic of Rolex sports watches, you simply can’t go wrong with a black Rolex Submariner. Whether vintage or modern, with date or sans, the stainless steel Submariner with a black dial and black rotating diver’s bezel is always the right watch to wear. Although the Rolex GMT-Master II collection is famous for its bi-color bezels (Pepsi, Coke and Root Beer), the all-black bezel options are superb too. Especially when the bezel is made from all-black Cerachrom ceramic as in the latest GMT-Master II ref. 116710LN. The stainless steel model houses a black dial with a green 24-hour hand and matching green “GMT-Master II” text. A timepiece for pilots, jet-setters, or Rolex fans alike, the GMT-Master II in steel and black is hard to resist. 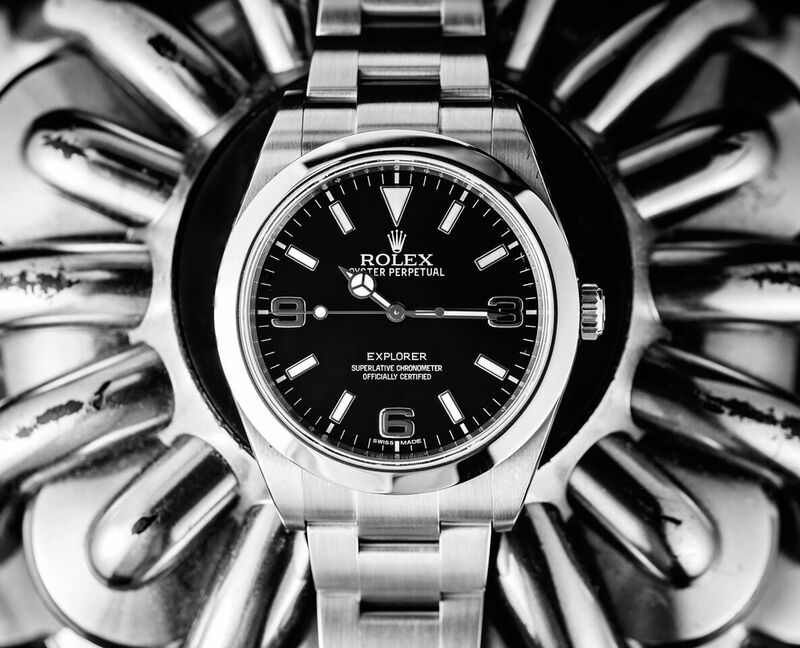 An enduring classic, the Rolex Datejust is the brand’s flagship collection of dress watches. 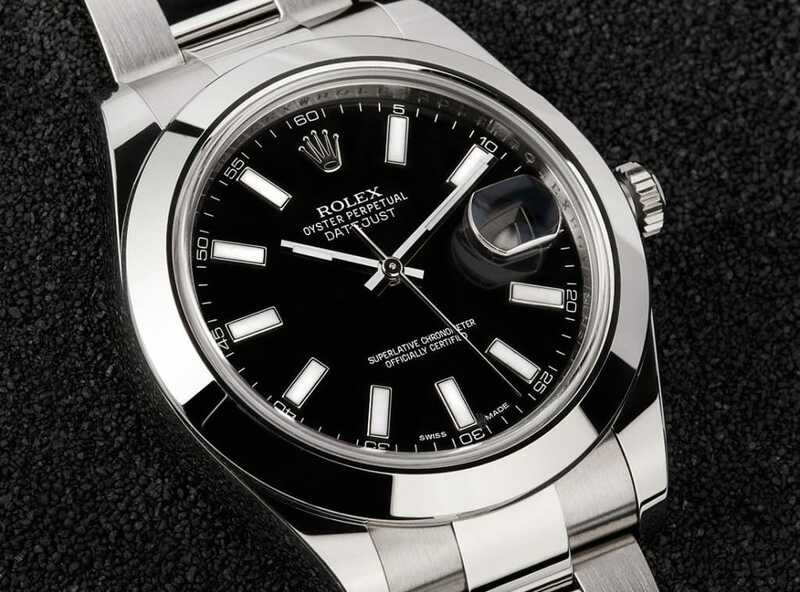 And while the 36mm option remains popular, Rolex did update the line with a larger case option with the Datejust II. The 41mm case size is well suited for today’s larger watch trend. Although the Datejust II offers a number of material, dial, and bezel choices, sometimes the simplest options are the best. The stainless steel Datejust II with a black dial, smooth bezel, and baton indexes is understated, yet elegant. 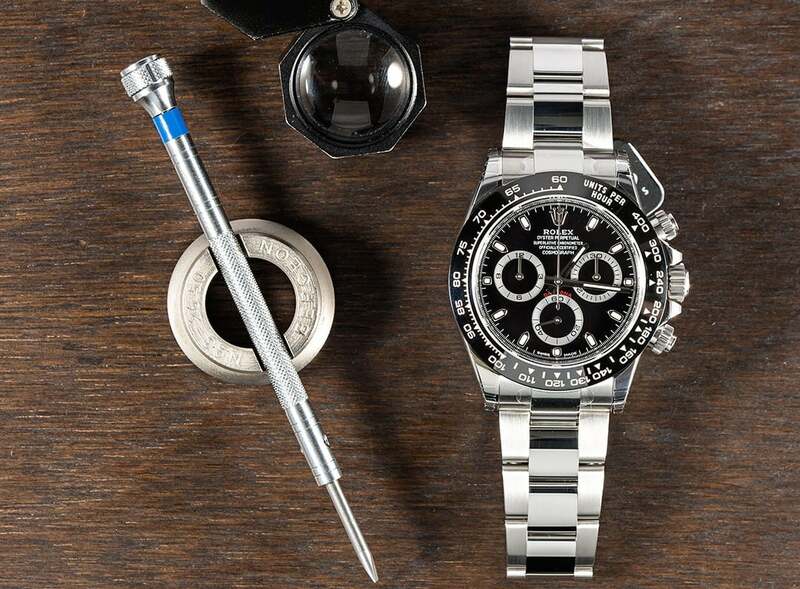 Hands down the most wanted watch of the year, the brand new Rolex Daytona ref. 116500 caused an absolute frenzy at this year’s Baselworld. And for good reason too. The stainless steel Rolex chronograph with a black Cerachrom ceramic bezel is exactly what Rolex enthusiasts were waiting for. Available with either a white or black dial, the black dial and black bezel combo seen here is especially sleek. As expected, there are super long wait lists at Rolex boutiques around the world of people waiting to get their hands on this beauty. Rolex’s entry-level sports watch, the Explorer is a straightforward timepiece that celebrates simplicity and symmetry. The most current Explorer is the ref. 214270, first unveiled in 2009 and later revamped in 2016. It sports a very wearable 39mm stainless steel Oyster case and is presented on the sporty and comfortable Oyster bracelet. The black dial is home to the characteristic 3, 6, and 9, numerals, along with the luminescent baton indexes and Mercedes-style hands. 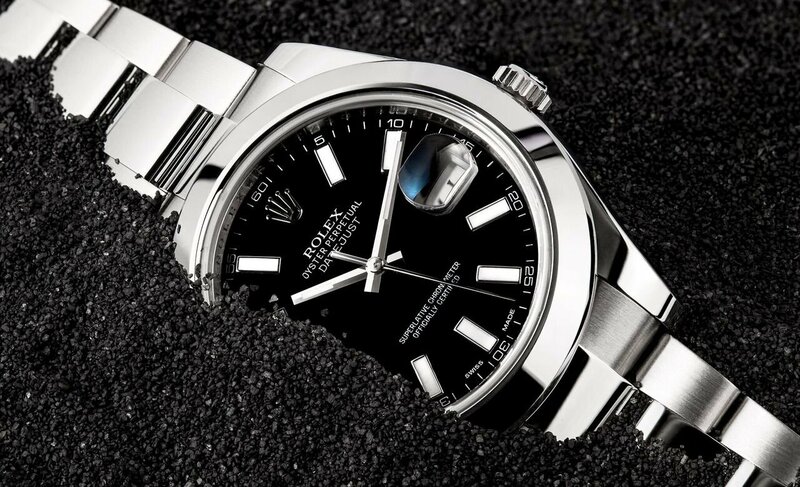 The Explorer is ideal for those who want an unassuming and solid Rolex watch.